If you want to explain to your boss that you’re overworked, have a conversation that doesn’t involve complaining about your job or colleagues. 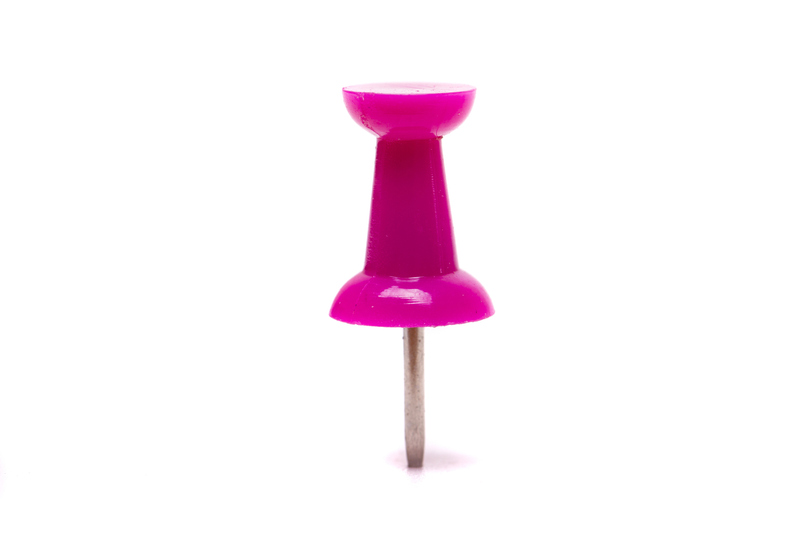 View of single purple push pin isolated on a white background. Everyone is taking on more responsibility at work these days – and often without being paid for doing so. But, is there a way to keep more of your work plate without appearing lazy or not being a team player? We’ve asked work experts for their tips on how to say “no” effectively and tactfully to your boss without your image being tarnished. If you sincerely feel that the quality of your work would suffer due to your current work overload, share this, but do it gracefully. Claudia Luiz, PsyaD, a psychoanalyst and author in Tarrytown, NY, suggests some dialogue that conveys that you really appreciate the offer of added responsibility, yet would like to devote yourself entirely your initiatives at hand. She suggests saying something like, “I am so excited about this job and I am really loving the work. I want to show you what I’m doing so you can help me balance the workload, or maybe even give some work to someone else because I would really like to devote myself fully to fill-in-the-blank,” Luiz says. With the establishment of boundaries, which can be initiated with the simple word, “No” (even whispered to ourselves), we can politely, respectfully begin to disentangle ourselves from unrealistic expectations, says Mark Borg Jr., PhD, a psychologist and psychoanalyst and co-author of RELATIONSHIP SANITY: Creating and Maintaining Healthy Relationships. “Sometimes this begins with the simple – but not easy – process of shifting back into our work role – what it was that we were hired to do,” he says. One way to do this is to write down the specific tasks that are detailed in our job description, and refer to this list whenever we are tempted to take on other tasks in an attempt to gain favor from others, Borg recommends. If you want to get your point across to your boss about how overworked you feel, the best approach is to have a conversation with him/her that doesn’t involve you complaining about your job or your colleagues, says Robin Schwartz, PHR, managing partner, MFG Jobs. “If you’re taking on more work than peers at your same level, approach that subject without throwing anyone else under the bus,” says Schwartz. “We’ve all worked with people who do the bare minimum, so it’s probably not going to be surprising to your boss that you’re feeling as if your abilities are being taken advantage of. Show your boss what projects or tasks you have on your plate that keep you feeling as if you’re just treading water. Seeing how dedicated you are to your work will have your boss more willing to work with you to re-delegate certain tasks or projects. Jennifer Davis, PCC, CPCC, an executive leadership coach in Hopewell, NJ, says she recommends that her clients navigate challenging conversations with this creative approach. “I often encourage them – whether talking to their boss or simply managing their own priorities – to consider re-framing every ‘no’ into a ‘yes,’ and every ‘yes’ into a ‘no,’ which could work well when declining an increased workload without appearing lazy. Change the response to focus on what you do want to do, the impact you want to make, and how you truly want to prioritize your current projects vs. spreading yourself too thin by adding additional responsibilities,” she suggests. Davis also says to share your vision for your role and projects, as well as the impact they will have on your company and team. My Boss is Happy. My Kids are Not.